The communication industry is in the midst of unprecedented change. The proliferation of new media choices in online and satellite radio is replacing the traditional media outlets as the primary source of news and entertainment. In this new and evolving world of communication you need a degree program that helps to prepare you for a career which will take on new meaning and direction. We have the experiential learning, the facilities and faculty to help you take control of and shape your career in communication. 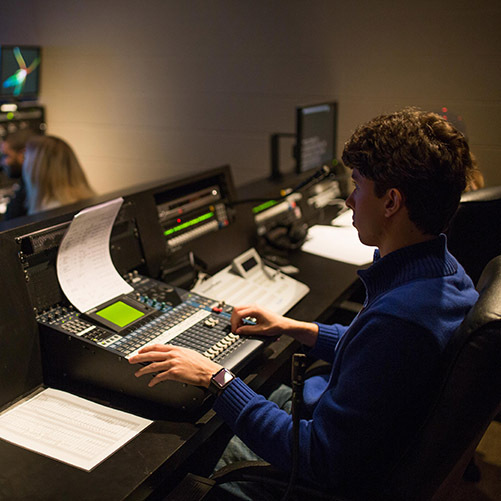 Our degree programs will help you prepare for your career in digital, broadcast, print or public relations. Responsible digital citizens who understand the role and use of technology as it changes our world. We teach both the tools and the skills that help stories find their target audience. Grow your digital communication knowledge with up-to-date and relevant media approaches. Interact with real clients, serve their public relations needs, and learn to be an adaptable professional in an ever-changing field. With this degree you'll learn how to craft marketing plans that sell and create messaging that can positively affect attitudes and behaviors. You will learn how to create innovative branding and social messages along with parallel concepts such as branding, creative development, layout and copyright.